Whilst grocery shopping on Saturday morning Jen proclaimed, "We should eat more lentils." This sounded like a good idea to me, however, I stated that there'd have to be some theme to this. 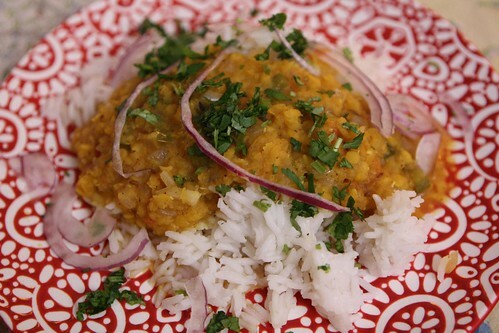 So I proposed that tonight, on Monday, we would start the very first in a series called Lentil Lundi! Okay, let's be honest, this will probably be a series of approximately one (1) blog entry. But still, the idea was enticing enough. Since I wasn't working today I cooked up a big pot of lentils and just let them sit on the stove for a while. While they sat I cooked up some onion, chili pepper, and tomato in a little butter with some cumin seeds. I guess technically I could have used ghee but I just didn't want to. 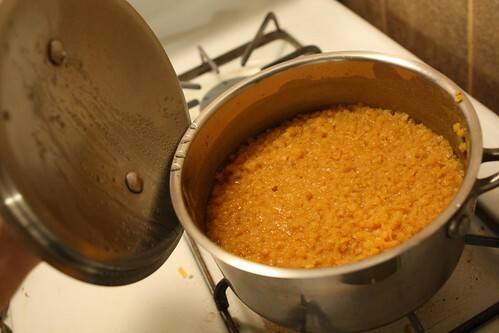 There are certain ingredients in cooking that I just don't like to recognize as legitimate and ghee is one of them. I understand the point of ghee, I just don't like the idea of getting it when I can just use some oil or butter in place of it. I like running a lean pantry. Lean with the exception of the seventy-five odd jams, jellies, tapenades, and mustards I accumulate in an average year. I added a little chili powder and fresh tomato to the cooked vegetables before adding in the cooked red lentils. 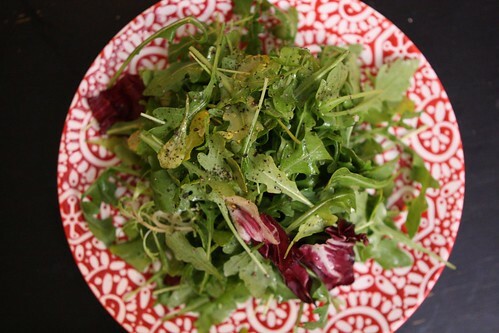 I served up a salad of the leftover roasted celeriac and beet with a squeeze of lime, olive oil, salt, and pepper mixed with fresh cilantro leaves. I was content to leave it at that but Jen suggested rather forcefully that I add in some sliced avocado. It didn't really go with the salad but, hey, I'm not one to turn down avocado in any situation. 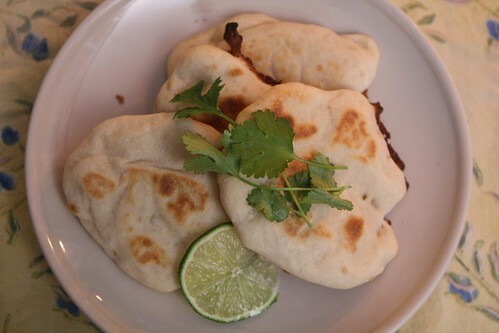 To accompany this makeshift dal I decided to make some naan. I would have loved to have planned this better and just bought some naan but not having that foresight I was forced to make some from scratch. 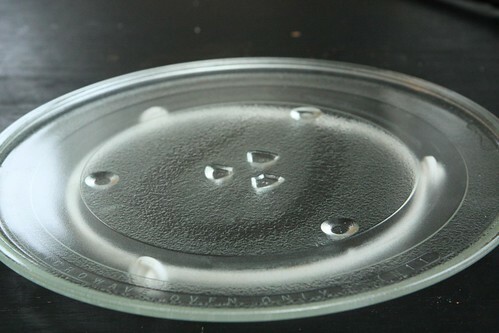 Along with ghee another thing I don't like doing is measuring things so I just put in an amount of flour, water, yogurt, yeast, salt, and oil into a bowl, mixed it up, let it sit for a bit then scooped it in portions onto the pizza stone fresh out of a 500 degree oven. 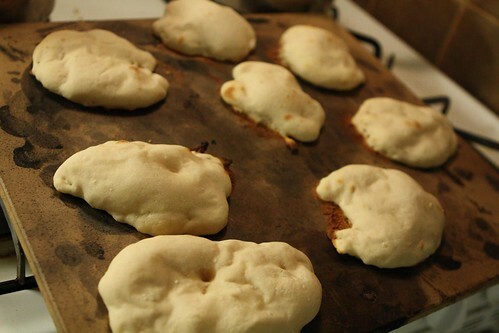 They puffed up a little too much when I put them on the stone to bake. Next time I think I might make the batter a little more wet and spread it thinner on the stone. That's a simple fix, I'll just increase the liquid content in the recipe! Oh yeah. No recipe. Maybe there is something to this whole recipe thing after all. As January comes to a close I'm hoping that the general malaise I've been in will go with it. January has historically been a bad month for me. In 2008, just before this blog started, I was pretty sure I was going to die twice -- once from flu, once from food poisoning. This January may have been slightly better than that one but not by much. Today was spent mostly lounging about, partly going to the grocery store because eventually one has to eat. This morning, as I was eating breakfast and reading the New York Times I came upon a ton of root vegetable ideas from Mark Bittman. Most of these ideas were, in Mark Bittman style, fairly simple and involved taking a single root vegetable and roasting it. Today, in my current state, this seemed like a perfect idea for dinner. I roasted some beets, a whole celeriac, a sweet potato, and some Russian Banana and French fingerling potatoes with nothing but olive oil, salt, and pepper. I got a piece of Norwegian salmon, seared it in a pan, and also roasted that more as an accompaniment to the vegetables than as a main course. 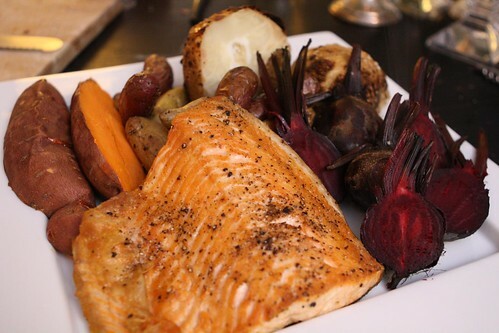 So here you have pan roasted salmon, pan roasted beets, pan roasted fingerling potatoes, and I guess baked sweet potato and celeriac. This got me to thinking. 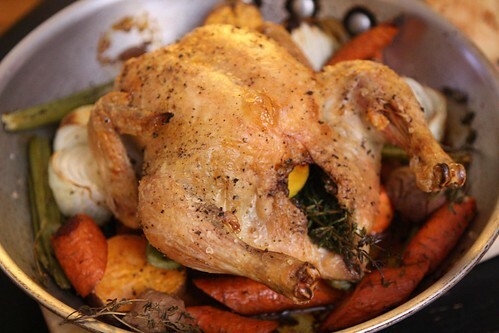 What is the difference between pan roasting and just roasting? Roast turkey is done in a pan but often referred to as simply roasted turkey. Potatoes are baked. Why? I don't really know. I think it's because it sounds cool. Pan roasted. It sounds somehow more intricate than regular plain roasting and certainly better than baked. Who wants a baked chicken when you could have a roasted chicken? Who wants a roasted chicken when you could have a pan roasted chicken? 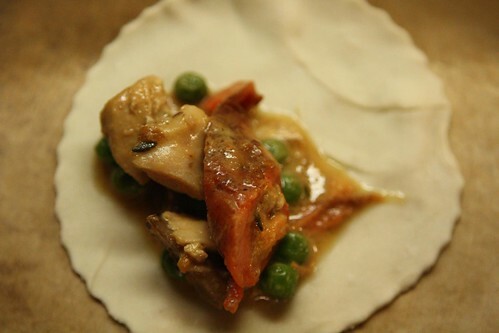 And who wants a pan roasted chicken when you could have a wood fire roasted chicken? 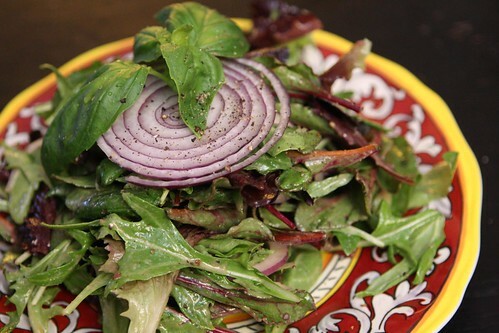 To go along with tonight's overly-roasted meal I also made a salad of baby greens, whole basil leaves, sliced red onion, and the remainder of some fig and tahini dressing from the fridge. I had hoped tonight we would watch the NHL Skills Competition but this is one of the two or three nights out of the year that we are sad we don't have cable. That saddness quickly vanished after discovering that there are about fifty episodes of No Reservations that remain unwatched on Netflix. The one regret I have is the insufficient amount of beer in 2012 despite my overflowing fridge and "beer cellar." I'm hoping that in the next couple of weeks I will return to normal and begin to continue my blistering pace of consuming approximately five beers a week. Soon will come the day when I can return to the beer-drinking ranks. And on that day it will be the most glorious day. It's amazing what a light rain can do to the roads of New York City. The West Side Highway, which under normal conditions is barely tolerable, turns into a slow-moving mess which is made even worse by the fact that they still allow people from New Jersey on the road. Write your representatives, people. This madness has to stop! There was little time to cook after getting home. 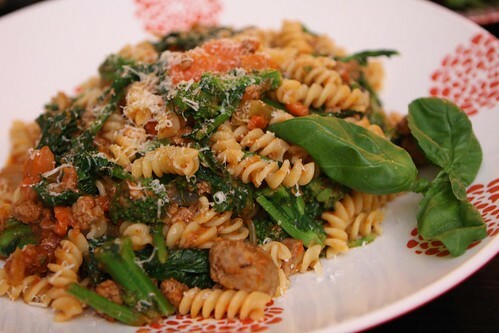 Jen expressed her interest in having a "meaty pasta dish" so I took the soup from the other night, cooked it down, tossed in some blanched broccoli rabe, a little tomato paste, some fusilli, butter, and Parmigiano-Reggiano. 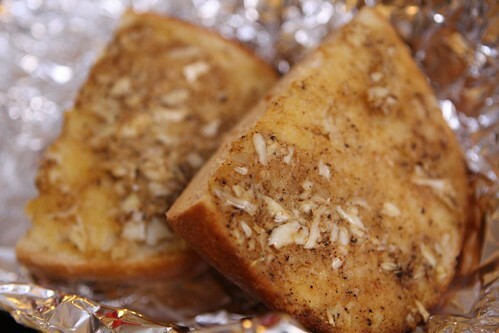 I also made garlic bread with some fresh Italian bread, mashed garlic cloves, salt, pepper, olive oil, and some paprika. For beer I picked another Christmas gift, this Niagara's Best Premium Blonde Ale from The Syndicate Restaurant & Brewery (formerly Niagara's Best Beer Ltd.) in Niagara Falls, Canada. This beer was unique in that it was one of the least carbonated beers I've ever had. There was no discernible head whatsoever. There was a slight sourness. I'd expected it to be a little sweeter, sort of like that sweet lady on the label. She didn't look sour. She looked like a sweet heartbreaker from the 1940s. A sweet, cream ale-drinking, Niagara Falls going-over-in-a-barrel, pinup model heartbreaker from the 1940s. I haven't done all that much cooking lately. 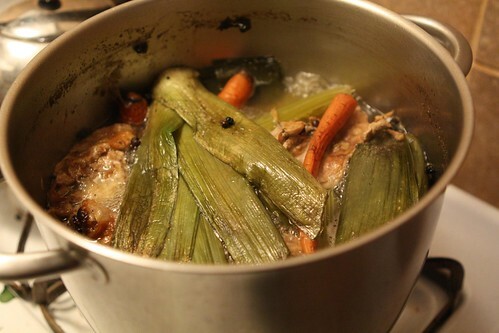 However, I have had a lot of time being stuck in the house and whenever I have a day at home I like to make stock. We had a tremendous amount of leek tops in the freezer. We still do but we used to too. I used these along with some bones from a roast chicken to make a chicken and leek stock. 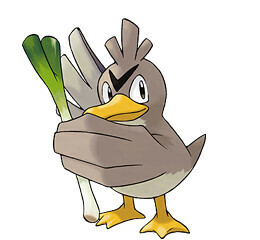 I know it seems a little farfetch'd but I felt there was enough leek in the stock that it warranted top billing in the naming of the stock. We haven't been grocery shopping in over a week so it was a little tight what I could actually make for dinner. 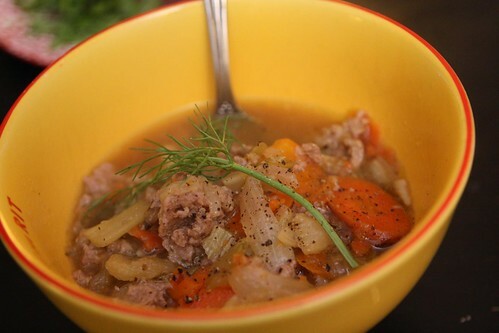 I did make this sausage and fennel soup with olive oil, crushed garlic, onion, carrot, celery, fennel, sausage, and a little of my farfetch'd stock. 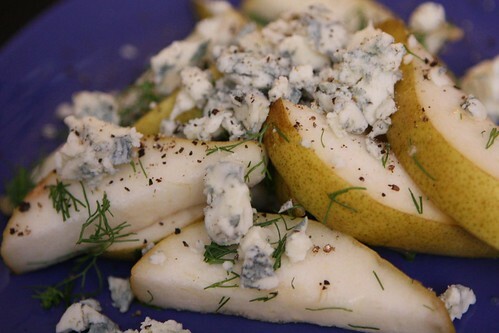 To accompany the soup I served a crusty baguette, a light salad of arugula and mixed greens with a little lemon and olive oil, Gorgonzola Mountain, and a D'anjou pear who was just two weeks away from beginning to collect social security. 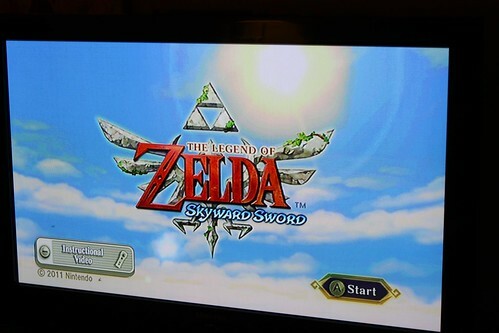 Last night I started playing the Legend of Zelda: Skyward Sword. To keep with the night's Nintendo theme I continued on my quest after dinner. Jen is always delighted to watch me play a new video game, something that admittedly hasn't happened for about four years. While she enjoys herself her main concern is that it might be boring for me to sit there and play while she watches. I don't think Jen understands how video games work. Jen was stranded in Denver last night. I'd been planning to make her some treats for her late night arrival but instead I stayed where I was stranded: on my back with a heating pad. She finally got in around 6:00 this evening so I needed to put something a little more substantial together for dinner. Since I haven't left the house since Thursday it was slim pickin's. So it was that I turned to our freezer and fridge to see what I could squeeze out for an emergency meal. I'd hoped Jen would have been home today to run out and get a few things but sadly our food supply has diminished to new lows. 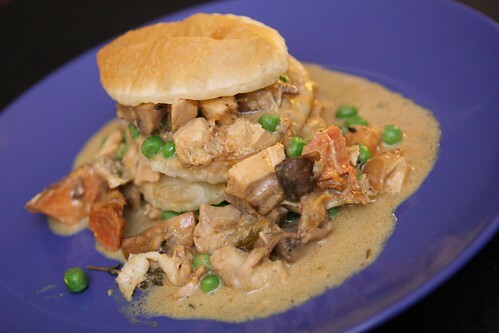 I made the most out of the roast chicken turned creamy chicken stew. 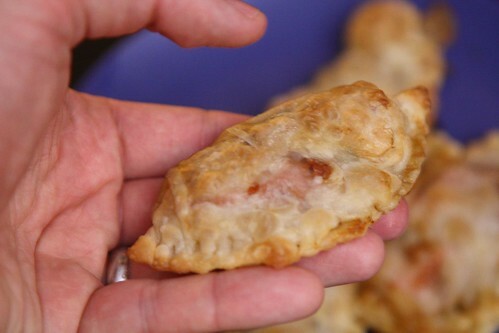 I folded it up into some puff pastry dough to make little hand pies. 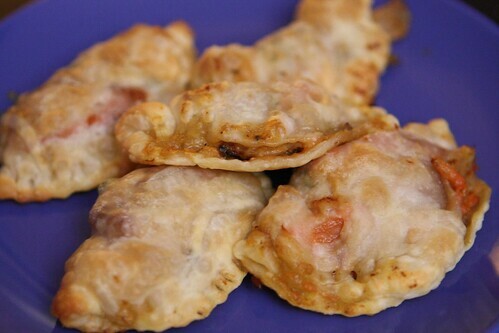 I guess if they're little hand pies then they're more like finger pies. Much like the pies foretold in the Beatles classic Penny Lane. .I only made them this size because that was the size of the largest cutter we had. 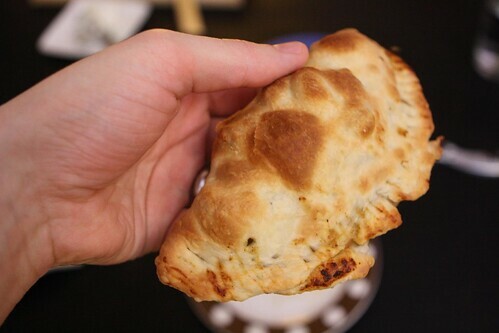 I balled up the remaining dough, rolled it out, and made one more proper-sized hand pie. 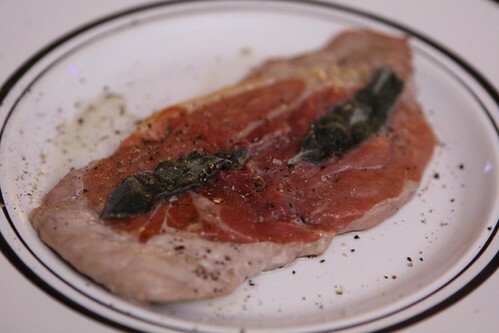 I also found one remaining veal saltimboca in the freezer which I thawed out and cooked up on a hot plate in the oven. 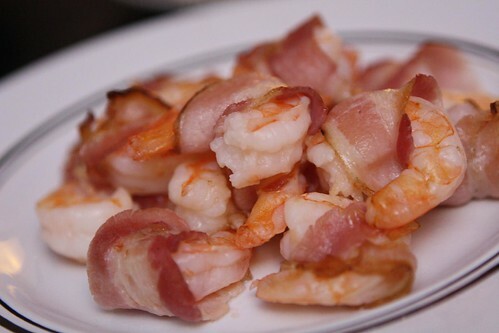 I also thawed out all the remaining pancetta and shrimp in the freezer, wrapping them up, and cooking them alongside the veal. So I stayed in the house all day watching both championship football games where the teams are playing to see who is in the World Series or something. This is extremely unfair. I'm sure there are people out there who would kill to switch places with me, even taking on my illness, just to be able to have this opportunity that is so wasted on me. That's a real shame because I would be all over taking someone up on that tradeoff to be done with this and not able to see the football game. I need to go to the doctor tomorrow so I have to leave the house at some point. My hope is that he will look at my back and say, "Aha! I see what the problem is!" Then he'll fiddle with a few knobs or gears or levers and I will be back to normal. Yeah, that would be pretty great. I'm pretty sure that has a good chance of happening. That's how doctors work, right? When I was in culinary school one of my instructors was a Czechoslovakian man with a a great gray mustache. It was the kind of mustache you'd expect from a Civil War general more so than someone who has spent most of his life in the restaurant business. Perhaps in Czechoslovakia there are a lot of American Civil War themed restaurants the same way American restaurants put a lot of baskets, old barrels, and fake grapes hanging off the walls. This man, Mr. Browchuk, would often invite me after class to participate in wine tastings. It might be because he could see, unlike many other students, that I actually had an interest in it other than a means of becoming drunk. I took him up on many an after class tasting where he introduced me to Rosé d'Anjou which taught me that there was another type of rosé other than white zinfandel. There was an incredible man behind that incredible mustache. On the first day of class he asked us all to tell him his name. Then he taught an entire class (a six hour class) and at the end of the class went through the room telling us all our names without getting a single one wrong. This didn't have anything to do with our culinary education but it sure was impressive. At the time I attended these wine-tastings I was nineteen. The University had some sort of special license where it was allowed to serve alcohol to underage students for educational purposes. I'm not sure if this is actually legal but it's what they did. It could have been that Providence was ruled at the time by corrupt mayor Buddy Cianci who had pulled some strings to make this "legal." It's worth noting that he also had the license plate "1" which was actually illegal since the governor also had the same license plate. The only difference is that the governor was supposed to have that plate number. 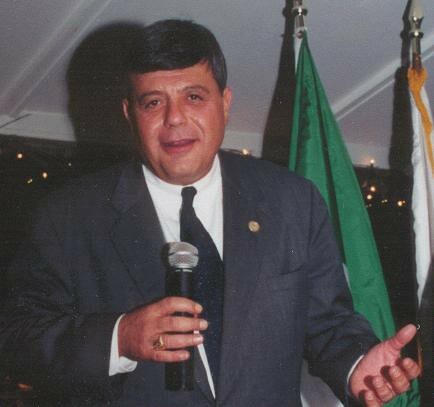 Mayor Cianci seemed to get around it by claiming that he was the most important person in Rhode Island. He may have been right about that. During one of these tastings Mr. Browchuk told me that he enjoyed a beer called Budweiser. Before I could allow this to tarnish my image of him he explained to me that in Czechoslovakia they brewed the original beer called Budweiser. 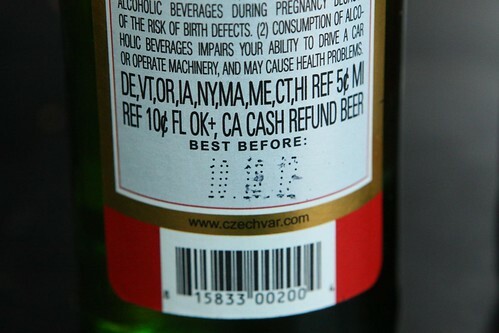 He said it was a Czech lager whose name was stolen by the American beer. I could hardly believe it. I held that fact in the back of my mind for years imagining what this beer could be like and, more importantly, how Anheuser-Busch could get away with it. As you can see from this video clip above from one of my favorite shows, Michael Jackson's The Beer Hunter, the town of Budweis has been brewing beer since the 1200s. In fact, Adolphus Busch began brewing Budweiser in America as an homage to the Bohemian lagers he'd had while traveling Europe. He was particularly fond of the lager brewed in Budweis which had been the beer consumed by many of the kings of Europe for hundreds of years. 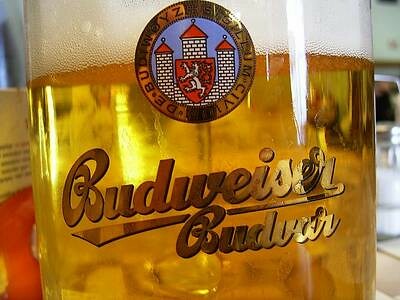 Actual real Budweiser (from Budweis) wasn't sold in America until recently and even now is only allowed to be sold under the name Czechvar. It's sort of like the Busch/Bush beer fiasco I talked about last month. Anheuseur-Busch, in order to protect its brand, has employed its arsenal of lawyers to do everything possible to make sure that the beer that inspired its success was marginalized in the United States. 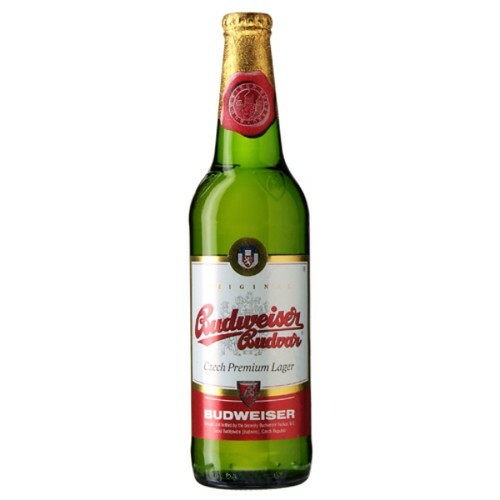 The original Budweiser from Bohemia had been called "The Beer of Kings" for centuries. Anheuseur-Busch played off that slogan by calling its beer "The King of Beers." How did they pay the original Budweiser back for all this inspiration? 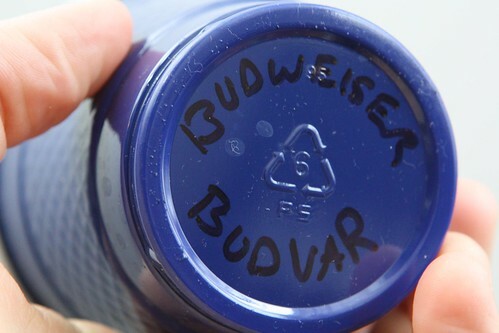 They prevented the use of the word 'Budweiser' (the actual name of the beer), 'Bud' (another Anheuseur-Busch trademark), and any use of the centuries-old slogan "The Beer of Kings." I had a lot of time to think about this today, on my back, lying around and thinking about things. Truth be told, I'd been thinking about this for some time. 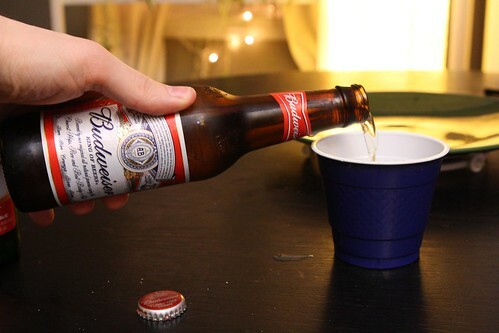 I'd never had the original Budweiser, and I hadn't had American Budweiser in well over a decade. So that got me to thinking that I would like to do a blind taste test of the two. Now I'm fully aware of my bias against the American lager. That's why this would have to be a completely blind tasting. How could I accomplish this fairly given that I am only one man, alone, at home, experiencing lower back pain? First I would need two, identical, opaque service glasses or cups. 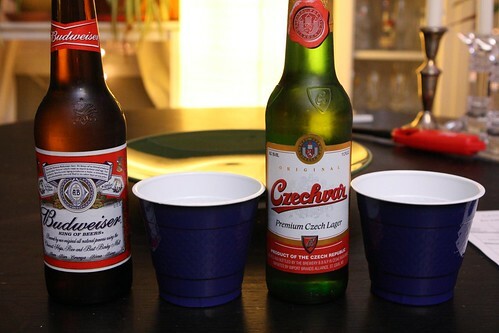 While I wasn't 100% certain I was still pretty sure that Czechvar would end up being a little darker than the American lager. 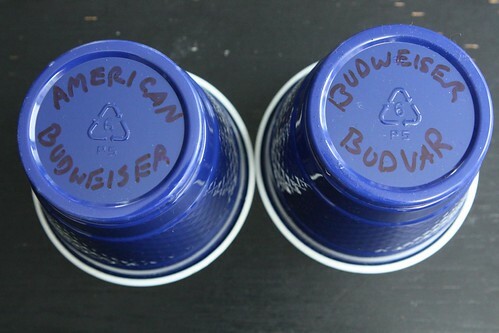 I marked the bottoms of the cups with the names of the beer they were about to receive. To be fair I made sure to check and get the freshest possible version of each beer. 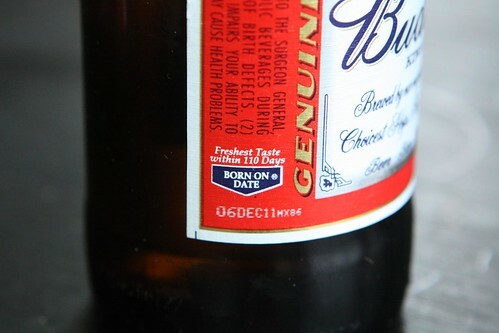 The American Budweiser had a Born On Date™ of December 6, 2012 while its Czech counterpart had a Best Before date of October 10, 2012. Different dating systems but both were about as fresh as I could hope for. Then I poured the two beers into their respective cups. 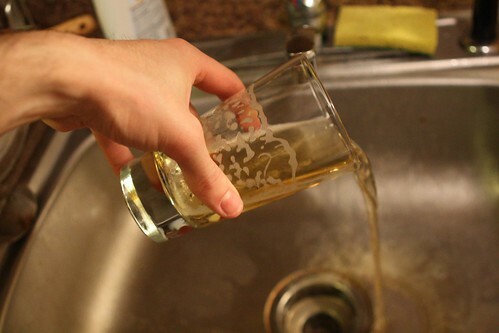 After that I needed some sort of rotational device so I could spin the beers around while closing my eyes. I was at a loss for a moment until I decided to take the turntable out of my microwave, set it up on my table, and use it as a makeshift Lazy Susan. After they were sufficiently mixed up I had to mark the cups again, this time on the front with a 1 and a 2. This time not knowing which beer is which. I made sure to hold the beer up at eye level so I could not be influenced by the look of the beer. I didn't know for a fact but I didn't want my taste buds to be influenced by what I expected to be the darker Czechvar. 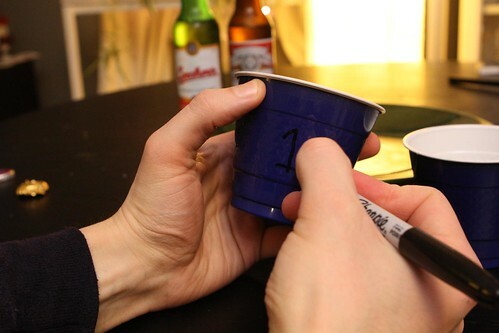 Then I took notes, sitting on the floor as not to be able to peer into the tops of the cups. It also helped to relieve my back pain to sit on the hard wood. Score! I skipped over the visual element as I would have to get to that later as I didn't want it to cloud my judgment. And now onto the beer judgment! On the nose I picked up a very faint and light hop aroma. There were notes of grass or hay and something slightly acidic like a very faint citrus. The malt and yeast gave off a smell of fresh dough and a soft-ripened cheese like brie. It tasted a little reminiscent of Corona but, unlike last night's beer, without the lime. The body was very light and thin with an average carbonation. The flavor did not linger for very long but there was a slight sweetness to it and it had a creamy finish with absolutely no bitterness to speak of. It had a watery quality one would associate with most lagers. Yup, this one was the American Budweiser. The blind test was over the second I had a sip of this one. There is something so distinct about the taste of this beer, a flavor I recognized from long ago at functions held at establishments with poor beer selections. Beer #2 had a lot of the same tasting notes. Present was the soft-ripened cheese smell, the dough scent from the yeast, and the smell of straw and hay from the malt. It was slightly less acidic than Beer #1 but with a similar sweetness. The main difference was that Beer #2 had a slight sake taste to it. After researching this a little I found that American Budweiser is made with about 30% rice so that would explain the sake flavor. 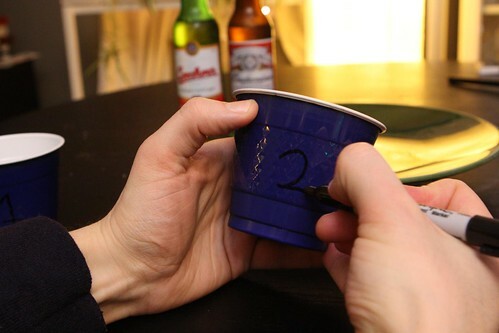 Just to be sure I checked under my cup at this point to see if I was right. Yup. I was. It's amazing how ingrained in me the flavor of American Budweiser was even after not having it for at least a decade. So what was the verdict? Which one was better? Well, I think I will say that the findings of this test were largely inconclusive. The fact is I didn't really care for either. American Budweiser was more familiar but both were pretty flavorless. I had been hoping I could review them both, make a decision then look under the cup and be surprised. Unfortunately one of the beers had unknowingly imprinted itself on my brain so I was unable to have the result I wanted. I really had no need for either of these beers so I dumped them and settled back with something a little more enjoyable. Since I'm a light weight and can only really drink one beer in an evening I poured the remainder of last night's Pearl Jam beer from Dogfish Head into a glass. While this beer had measured as a disappointment to some I must say it was like a special treat after drinking lackluster versions of a lackluster beer style. 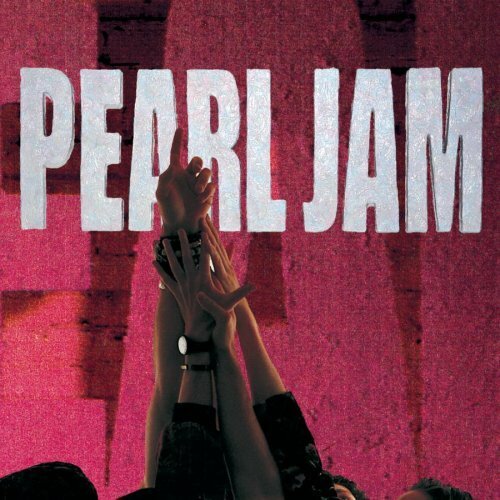 I never really cared all that much for Pearl Jam. I'm not really sure why. Don't get me wrong, some of their songs are pretty good. I like Yellow Ledbetter even though the lyrics are a bunch of gobbledygook and it is kind of a Little Wing rip off. I particularly enjoy the misheard lyrics version of the song (seen above). It's hard to not enjoy it. You see, in the early 1990s, I was a teenager full of vim and verve and sometimes vertigo and other words starting with the letter V. It was during this time that I got a gig as a camera man for a local Rhode Island band called Mindscream. It didn't pay much. In fact it didn't pay anything other than the opportunity to consume large amounts of Doritos and Crystal Pepsi. I enjoyed the benefits of this 'job' quite a lot and compiled hours of footage of the band. About 20% of the footage was of the band performing the song 'Alive' by Pearl Jam. This was partly because of the number of times they played the song and partly because this song is so damn long. While I never really cared much for the group I do enjoy the Pearl Jam Bootleg Members Only. I acquired this through a guy at work sometime in early 1999. We used to listen to it all the time in the kitchen and it really grew on me. It's a very interesting album in that it features a lot of audio of the band talking and joking around and there is a strange Christmas theme to the album. Interspersed with all the audio are clips of Christmas-themed discussion and Christmas songs, one even performed by Pearl Jam. I guess the thing I never really liked about Pearl Jam was that they always seemed to take themselves so seriously. This bootleg shows a side of them I had never really seen before. Admittedly this could be because I just didn't really know all that much about the group. At any rate this bootleg showcases the band messing around during Christmas time, doing cover songs, threatening their audience, doing an Elvis impersonations, and just generally being interesting and fun. After doing an extensive Google Search I can't find any record of this bootleg existing even on pearljambootlegs.org. Even though I own this I have found enough evidence online to prove that it doesn't actually exist. Last year was the twentieth anniversary of the album Ten. I didn't really care about this milestone as I wasn't a big fan of the album. However, when you are lying around on your back with ice packs all day you have a lot of time to think. I got to thinking that I should really give the band and the album another shot. 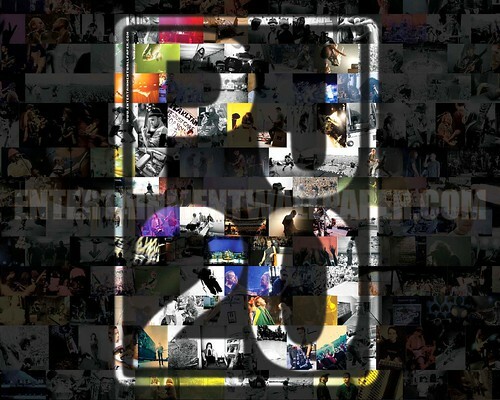 I decided to watch the movie Twenty, a documentary, pardon me -- a rockumentary -- about the band. Previously all I really knew about Pearl Jam's history something about Mother Love Bone and a Stardog Champion. Whatever that meant. Here are some new facts I learned about the band after watching the movie. It's pronounced "AY-ment" not "Ah-ment." They hate the word grunge. Eddie Vedder can climb just like a monkey. Their Spanish is less than perfect. Neil Young thinks Eddie Vedder is hilarious. Ticketmaster thinks they are a bunch of petulant children. Eddie Vedder has a sense of humor. Stone Gossard hates the Grammys as much as I do. In the late 90s Eddie Vedder modeled his hairdo after Ian Gillan in the mid 70s. Jeff Ament is from the same town in Montana as my favorite senator: Jon Tester! One of the drummers from Pearl Jam was in a silent movie about a sea monster. Pete Townshend waited his whole life to meet Eddie Vedder. To go along with the movie I heated up a generous slice of torciere from the freezer leftover from our Christmas feast. On a cold night, with a snow storm on the way, this was a nice hearty meal was a welcome friend. 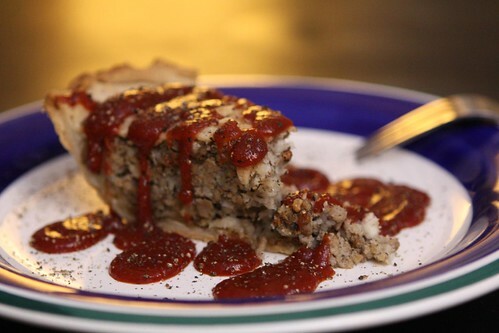 Mike McCready loves French-Canadian meat pies. 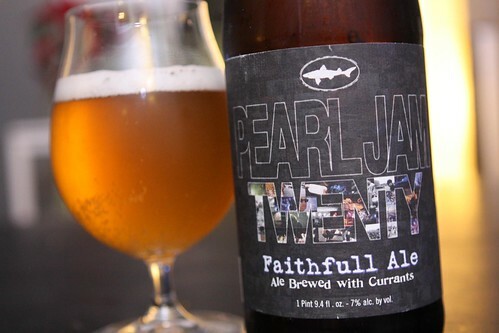 And, of course, since I was watching this movie I decided to try one of the latest releases from Dogfish Head: their Pearl Jam Twenty Faithfull Ale. Okay, I'll be honest, I would never have watched this movie if it weren't for the fact that I already had this beer in the fridge. I also would never have watched it if it weren't for the fact that I'm lying around all day with nothing I can do other than watch things. I was excited to taste this beer until I saw the review on Beer Geek Nation. After that I was not looking forward to that much. He was not a fan. 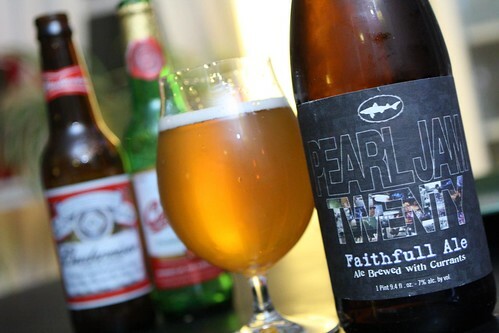 I must admit this was not my favorite of the Dogfish Head offerings. While it was decent, it wasn't quite what I'd expected. It actually reminded me a lot of Corona with lime. After checking out Sam's video on the Dofish Head site he says that the band told him they enjoyed drinking Mexican lager so that explains that. And now that this episode is over and it's not even 7:30 PM I guess I have to find something to occupy the rest of my night. Maybe I'll watch another movie that I've never wanted to see. I hear those Twilight films are delightful! Apparently the week-long bout of bad health luck I've been having is not quite over. This morning my lower back started to hurt to such a degree that I actually drove myself to the hospital to get it checked out. Whenever I think of the emergency room I think of Brian Regan and his bit about the emergency room which is pretty much exactly what it is like every time I've ever been. The only difference being that now that we live in a ridiculous yuppie community our emergency room actually does have valet parking. After researching my symptoms I feared that my kidneys might have decided to start working against me rather than with me. My doctor agreed and thought I had kidney stones. After a battery of tests, being interrogated by two doctors, and a trip through the CT scan machine they decided that I had back pain and told me to put ice on it and take some Tylenol. I had a lot of time to lie there and think in between tests and doctors. I also had a lot of time to listen to the guy in across from me who was convinced that his sister-in-law's severe back spasms were caused by her not having enough potassium in her diet. No one, not the doctor or his sister-in-law, could convince him otherwise no matter how many times he brought it up. He brought it up a lot. Jen is currently in Utah for work. As I laid there in the hospital with time to think I wondered, "What do people in Utah eat?" I did a bunch of Google searches to see if I could find any local Utah cuisine so that maybe I could make something for dinner that was some sort of specialty of the region. I got nothing. They eat anything. They eat Mexican, Italian, Chinese, Japanese, American, and other fast food places. 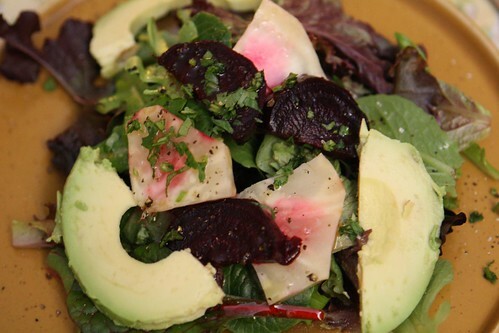 They eat meat, vegetables, fruits, different variety of drinks, and desserts. The best I could come up with was this result on Ask.com. Jeeves would be rolling over in his grave. Sadly that was the best information I could find on the subject so I decided to eat like a Utahan. A Utahonian? A Utahite? Someone from Utah. I ordered Chinese takeout! It said it right there on Ask.com, they eat anything! Including Chinese! 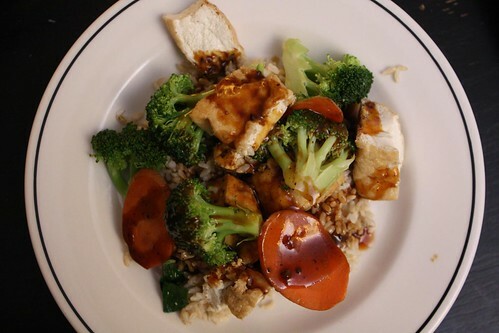 So I picked up some steamed broccoli and tofu with brown rice and black bean sauce on my way back from the hospital. The doctor prescribed me some pain medicine but I'm just not that big a fan of pain medicine. Pain doesn't actually bother me that much. It's not because I'm tough, in fact, I'm pretty much a world class, grade A wuss. The fact is that pain always makes me worry that something on me is going to fall off, turn green, or become cancerous. After I took a few trips through the CT scan machine and the doctor said my kidneys looked perfect I felt better. Well, the pain was just as bad, but my worry about a small vole burrowing its way through my insides or a tumor engulfing my pancreas quickly faded. In place of Vicodin I chose to have a single beer. I guess it does something to ease the pain but it's just a lot more fun to drink a beer than take some vicodin. It's probably healthier too. 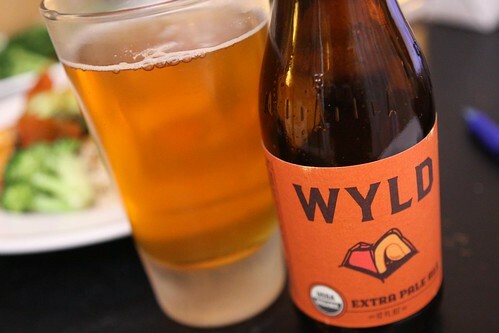 I was able to pick this Organic Wyld beer from Unita Brewing in Utah! This was exciting because it was the first beer I'd ever had from Utah. I must say, this was a good way to initiate myself into the world of Utah beers. Utahian ales! Beers from Utah. This beer was remarkably good, possibly the best pale ale I've ever had. It had a wonderful grapefruit taste but more like fresh juice than like the rind. It didn't really cure my back pain 100% (or even 10%) but I didn't really care. There was no listing for ABV but I'm guessing somewhere between 5-6% as I didn't really feel anything after having a glass. Also, I have to say that the Unita Brewing website may be one of the best laid out brewery websites I've ever seen. Sure, they don't tell you the ABV of this beer but it's still a pleasure to view. I just wish WebMD was as useful as this site. While WebMD doesn't offer as concise and detailed information I've found it a useful tool to panic myself about having cancer. Today I had an unfortunate mishap that had a great impact on what I would make for dinner this evening. In a twist of bad luck the two most important fingers on my left hand (sorry pinky and ring finger) were crushed by a heavy metal plate. 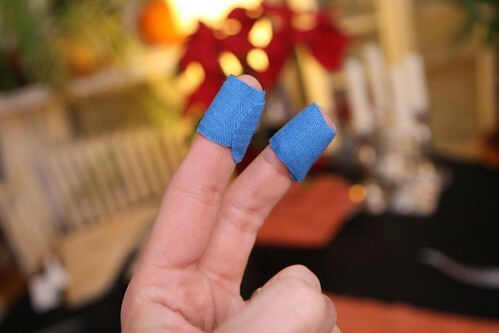 This was extra upsetting because these are some of my favorite fingers to use whilst cooking! 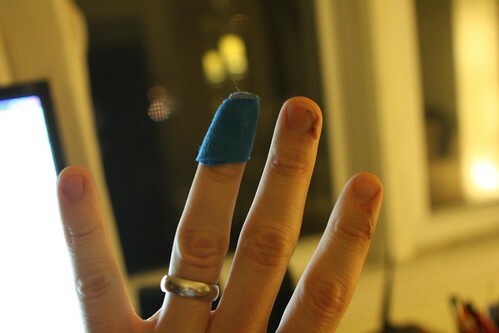 Also, my third favorite finger on my left hand was shut in a car door last night but survived with only minor injuries. My least favorite finger on my left hand is living large. 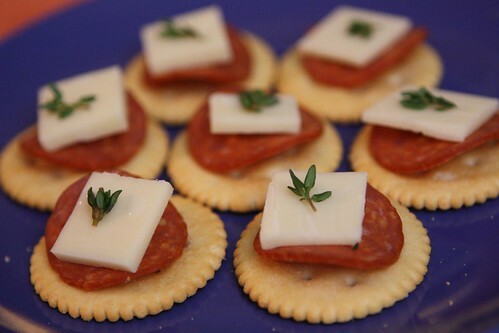 After deciding on a quick entree and throwing it in the oven I made these incredibly brilliant hors d'oeuvres with crackers, Irish cheddar, pepperoni, and thyme sprigs. I don't have a box of Ritz crackers around but I imagine there is a photo on the box that looks exactly like this. 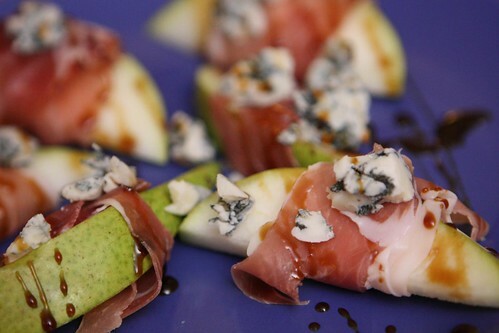 After we ate these we were still quite hungry so I used up some of our New Year's Eve prosciutto which I wrapped around D'Anjou pear slices and topped with crumbled Mountain Gorgonzola, and a little balsamic glaze. For the main course I prepared this roast chicken. Since I was one-handed for this evening I was able to rough cut some celery, onion, carrot, and sweet potato, throw them in a pan, and toss them with olive oil, salt, and pepper relatively easily. After that I seasoned the inside of the chicken, stuffed it with a lemon half and some thyme, seasoned the outside, and threw it in the oven (preheated to 475) and quickly reduced the heat to 400 and cooked it for a little over an hour. And there you have it, a simple meal that you can cook using only one hand! Special note: every E,R,T,D,F,G,C,V, and B in tonight's blog entry are brought you by PAIN!